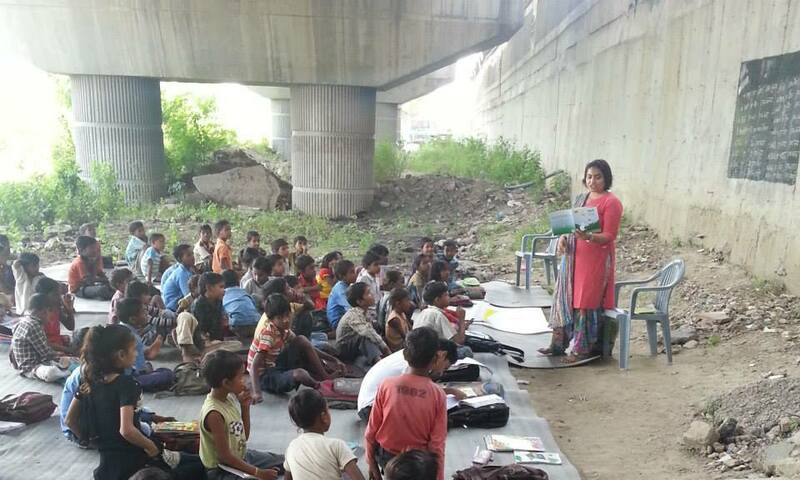 Sujata Suri from Deep Foundation sent us the following story. 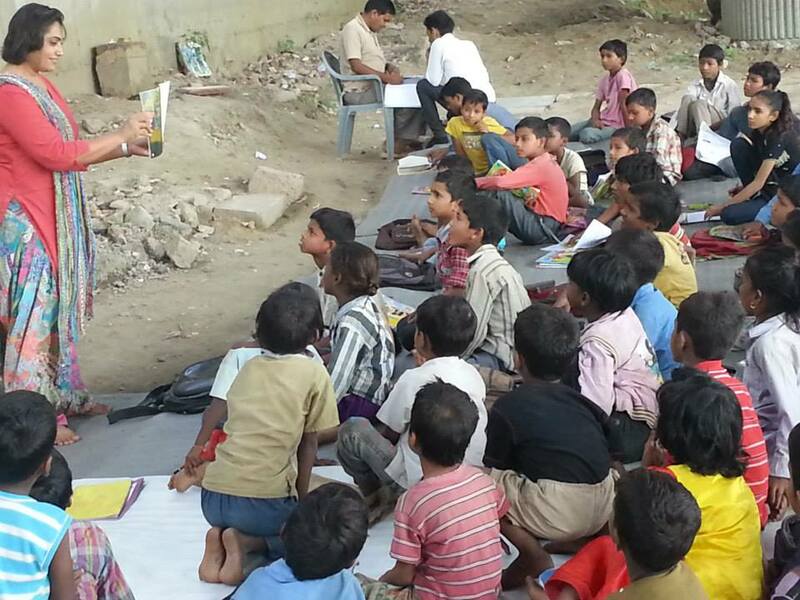 DEEP Foundation was established in May 2009 with a vision of bringing self reliance to the weaker sections of society through the medium of education . 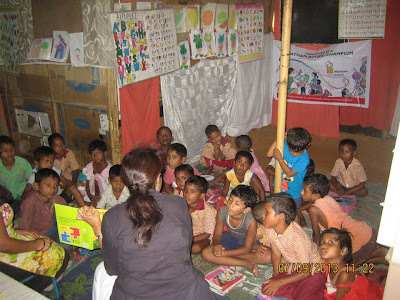 You can learn more about their work on their website. 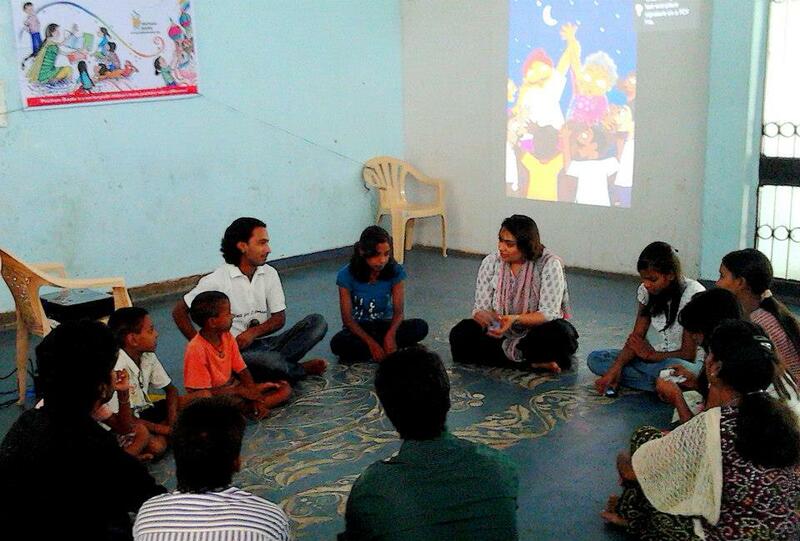 Our International Literacy Day story telling sessions were a huge success. 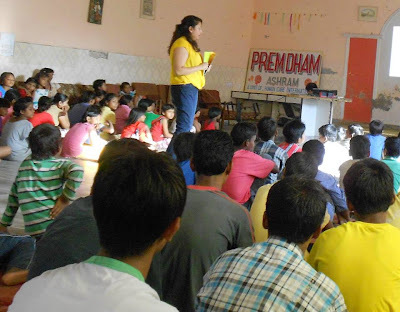 Our team at DEEP Foundation conducted four sessions at our Henny Penny Libraries via Pratham Books Champions Aparna Mathur, Shuchi Mamgain and Sujata Suri. A catch phrase works very well with kids of this age group even if they have not completely internalized it. From Paplu's story, they learnt how to extend a "dosti ka haath". 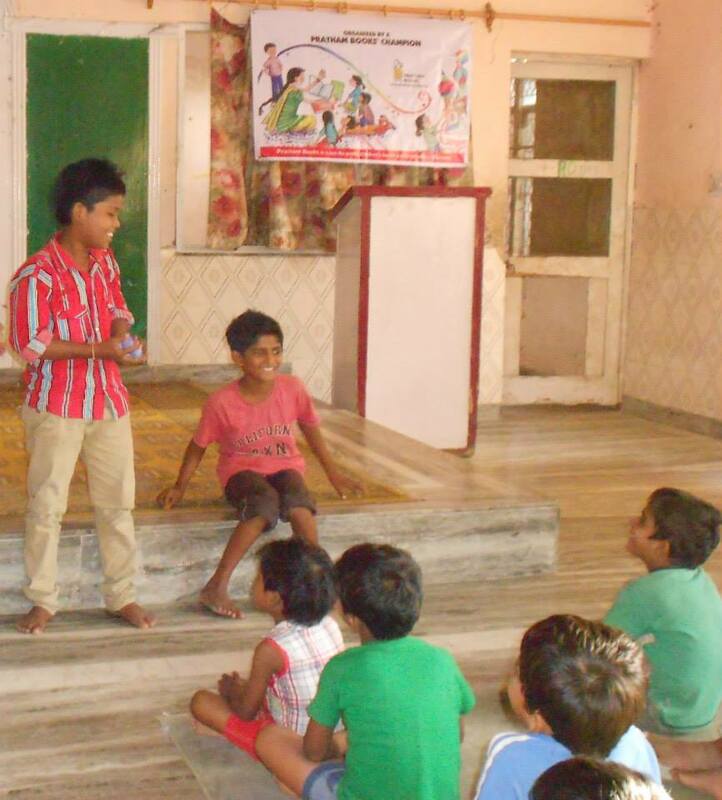 Kids love play acting and they played the roles of a daaku, rakhshas and accha insaan using balloon puppets. 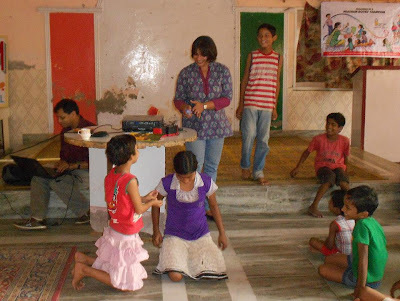 We even tried to use the "tossing the blue stones"(we used newspaper balls wrapped with blue paper) and inventing a "jaadu ka mantra" - was fun! On our next visit, we'll build on these catch phrases and weave other stories into them. We were taken by surprise when the children recalled the characters from the stories shares earlier and tried to related those characters with Paplu or the other stories we read with them. 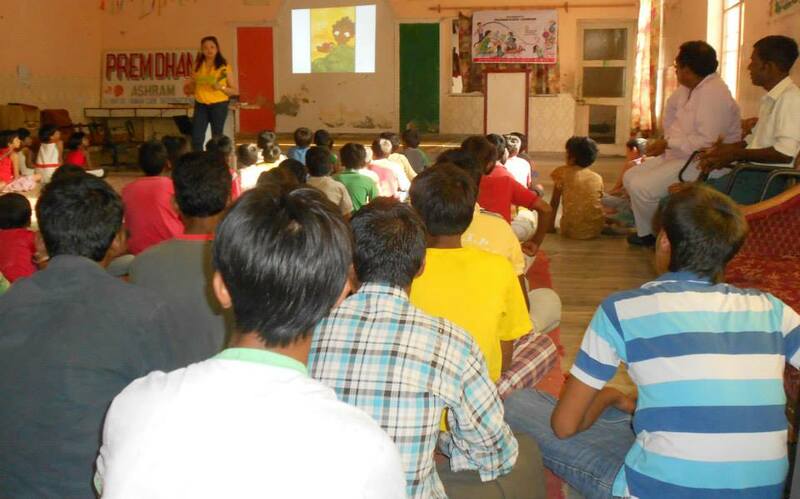 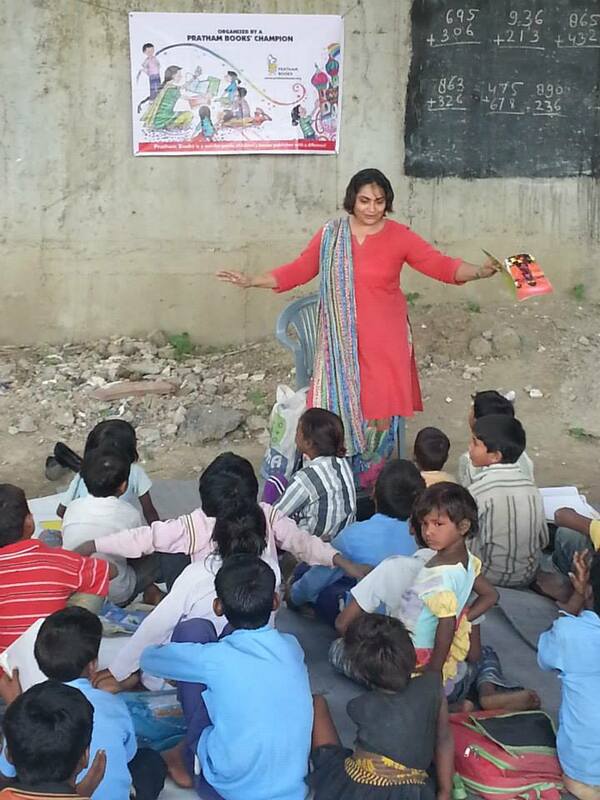 Thank you Aparna Mathur, Shuchi Mamgain, Sujata Suri and Deep Foundation for spreading the joy of reading!